It is common knowledge that apps and mobile devices are outstanding tools for communication. The average college-student-age American checks their phone more than seventy times per day! But have you considered making your campus app central to your academic success and retention strategies? Your app can do more than simply be a mobile copy of your university website. In this post, we’ll explore a few ways a campus app can impact students’ academic success. Many have argued whether a phone has a function in the classroom. But regardless of personal opinion, the fact is that students are using their phones as a primary device to engage with their classes. Did you know that two-thirds of online students do at least some of their coursework on their phones? This was a finding published in an article in Campus Technology based on a survey of 1500 students conducted by Learning House. These students most commonly used their phones to access course readings, communicate with professors and other students, access the learning management system, do research, and even finish assignments. Given this important statistic, university app strategy should include methods that allow students to more successfully use their mobile devices for coursework. Did you know that 94% of students want to use their phones for their studies? Push notifications on mobile devices can be extremely effective at generating engagement, especially among students. This becomes even more apparent when comparing mobile push notifications to email, snail mail, and other print methods of distribution. A mobile app has the advantage of gaining immediate attention from a student in order to remind them of something critical to their education, such as advising reminders and class updates. Apps also have the benefit of accessing additional information about the user. In an EdTech Magazine article, How Mobile Apps Are Changing the College Campus, Stephen Fischer of Ohio State University notes that the major advantage of mobile is context. Geolocation, a key aspect of mobile access, is crucial in this regard. If your app knows where a student is (at the library, in class, at the bookstore), you can tailor your messaging to the situation, further improving the likelihood that the message will be received exactly when it is needed and when it is most likely to be acted upon. Some lower income students may not have computers at all, or at least not portable ones. Even for students with access to computers, constant accessibility can be an issue if it’s a shared computer or is not a laptop. Smartphones, on the other hand, tend to be in students’ possession 24 hours a day. If there is any urgent or time-sensitive information a student needs to receive to ensure their success, a mobile app provides the only method of communication that nearly guarantees the student will receive it, and receive it in a timely manner. If a student needs to go out of their way to access information, you’re already fighting a losing battle. Motivation cannot be overlooked when determining what platforms to focus on for academic content. Imagine the difference in your own engagement when consuming information in your preferred format as opposed to being required to use something you’re not a fan of. Did you know that 94% of students want to use their phones for their studies? And 75% of students actually believe that using personal devices in the classroom has improved their ability to learn and retain information. With students demanding that these devices become central to their learning experience at such significant levels, the smart use of mobile apps is critical for any institution that cares about student satisfaction. 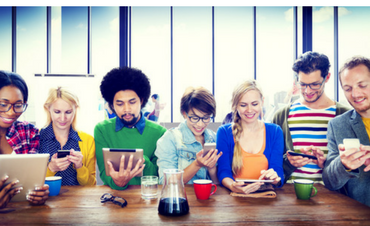 Personalization is one of the most powerful features available with mobile devices and apps. In fact, a study reported in Campus Technology found that personalized messages that “nudged” students to stay on track improved retention rates by 10% when compared to students who did not receive these messages. This study points to a clear benefit to making apps and mobile devices central to student success strategies. If you are convinced that personalization and “right time, right place” notifications should be central to your institution’s app strategy, you need look no further than campusM. Our profiles and roles features as well as personalized push notifications make us the leading solution for personalized app experiences for your campus. 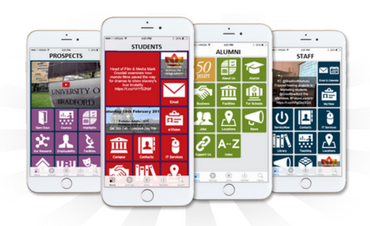 Increase access to critical information in a personalized and engaging way with a powerful campus mobile solution. Click here to learn more about campusM and schedule a demo.